Our heaviest weight and most premium paper stock. With extra sturdy that's make feel great to hold and have premium smooth surface. 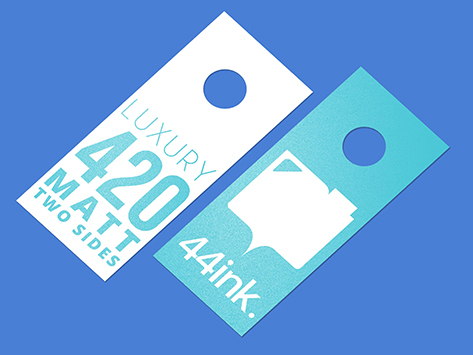 Coated with premium matt two sides that will make your door hanger shoot out all the colours. Printed with UV cured ink.